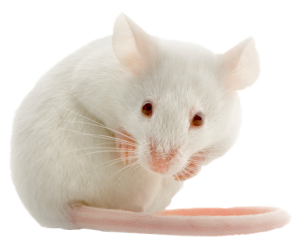 Would a lab mouse be pro-EU or pro-Brexit? What is in its best interests? And would Brexit bring us any closer to being able to completely replace animals in medical research? These are the questions that we set Fundraising Assistant, Luke Devenish, off to find the answers to at the Westminster Briefing Conference on ‘The Future of Animal Welfare’. If he wanted to find anyone with any answers, it was going to be there. On arrival, he received a welcome pack and was presented with an impressive attendee list – stuffed to the brim with chairmen, directors, consultants, heads and all manner of fancy titles. All were from animal welfare organisations, charities, universities or councils. It was certainly going to be a well-informed conference. The day began with a run-down of current animal welfare law before launching into the potential effects of Brexit over the next few years. So what was the conclusion from the panel? Nobody really knows what will happen, but as a country we can hope for the best. The biggest issue is that nobody knows (including the government) what form Brexit will take. Will Britain continue to be subject to the EU single market and EU regulations? Will it be bound by free trade agreements to comply with foreign standards? Or will a hard Brexit force us to begin the long process of rewriting UK law to fill the gaps left by EU legislation? While there are thousands of potential outcomes, it was reassuring to hear that most conference attendees were confident that animal welfare could only improve. Michael Seals, Chairman of the Animal Welfare Board for England, noted that animal welfare laws in the UK are already world leading. Attendees agreed that they were not too worried, especially relating to animals in medical research, and that there was now a large opportunity for progress. “This will be the biggest change in animal welfare legislation in a generation” claimed one. A key piece of information came from David Bowles, Head of Public Affairs at the RSPCA. He revealed that some 80% of animal welfare legislation is actually based in EU law. Furthermore, protective legislation relating specifically to animals in medical research comes almost entirely from EU law. Therefore, upon leaving the EU (on March 29th 2019) it will be the duty of the UK to rewrite this legislation into national law, and continue to protect animals in research. It is this transfer of legislation, from EU to UK law, that opens a door for us to strengthen animal welfare laws even more. We can potentially remove animals from medical research, forever. How can we prevent future UK animal welfare law from becoming lax once we leave the EU? We must continue our strong, national tradition of fighting for animal welfare and continue to develop new, cheaper, more progressive methods of research that replace animals entirely. If we can make cheaper, more appropriate methods of medical research widely available, animal testing will no longer be a viable option for anyone, anywhere. So would a lab mouse be pro EU or pro Brexit? Well, while Brexit presents a great opportunity for animal welfare, it also comes with potential risks of legal loopholes and lower standards. It might depend if the mouse prefers Brie or Cheddar.